Many of the suggested pronunciations in this dictionary are influenced by Shakespeare’s use of iambic pentameter. It was the staple of English poetry from the time of Chaucer until the turn of the last century when free verse (that is, verse written outside of a metrical form) came into play. The verse form and the pronunciation of the Shakespearean vocabulary are intertwined. Shakespeare’s verse often demands specific pronunciations, some of which are different than those used in colloquial speech. Pronunciations that respect the verse form can assist the actor not only with meaning and syntax but with acting intentions and emotional clarity. Beginning students often ask how verse differs from prose. A short answer is that prose follows the rules of grammar. On the other hand, verse obeys not only grammar but also additional principles. That serves to heighten our attention to the rhythm of the language. A line of iambic pentameter verse, indicated in print by its layout on the page, adheres to a set of metrical principles. An iamb is composed of two syllables, the first unstressed, the second stressed. This is called an iambic foot. A foot is merely a theoretical division of a verse line. Metrical refers to meter. Meter is the organization of the regularity of speech into a strict pattern that can be identified and counted. Scansion is the orthographic or written attempt to represent the meter and stress of verse by noting the light and heavy stresses in the line. It seeks to capture the interplay of word and metrical stress. This interplay is often referred to as the rhythm of the language. Rhythm, however, can neither be seen, nor heard, nor read. Rhythm is something that is felt. It is a pulse, a beat, a sense of movement through time. Rhythm is innate, yet invisible. It is a pattern or series of beats that produce energy. Rhythm goes through time as movement goes through space. It is difficult, if not impossible, to portray rhythm on the page, though this is what scansion sets out to do. Capturing rhythm is like trying to capture breath. One can sense the act of breathing. One does not see the air that is the component of the breath. In order for the audience to sense rhythm, the actor must establish it. And, once established, it must be maintained so that the variants, which heighten the expressiveness of the verse, can be felt as opposed to observed or heard. The variants need to be experienced as variants. 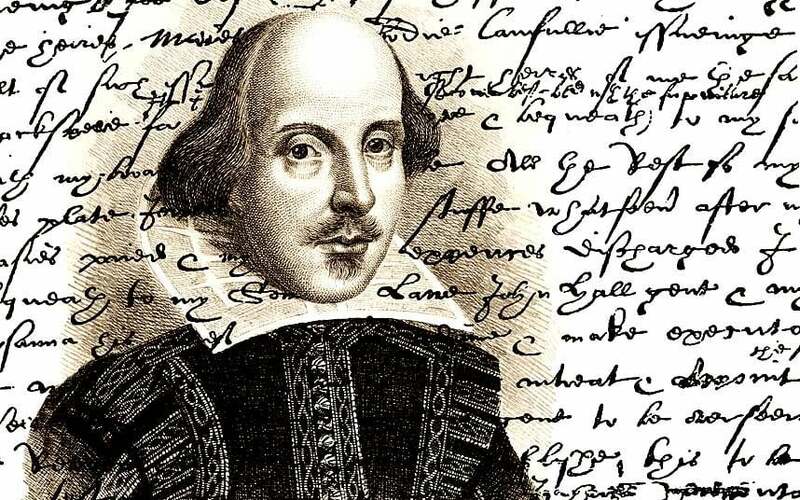 The expressiveness and force of the language often stem from the variants to the iambic pentameter form employed by Shakespeare and his fellow dramatists. In the past, these variants were sometimes dismissed as an example of sloppy craftsmanship or ascribed to misguided typesetters. The actor should use and exploit variation and difference, not homogenize them. An individual line does not stand on its own but must be considered, eventually, both in relation to the other verse lines and to the prose surrounding it. As the variants are discovered and explored, the actor will find that they provide a nap or sketch of the thought processes of the character, allowing the actor create the verse line in the present moment. It is important to note that Shakespeare and other writers of the period organized the arrangement of particular stresses -the beats and off-beats of the lines – not to fulfill arbitrary standards, but rather to reflect the emotional and psychological state of the character. Shakespeare wrote his plays over an approximately twenty-year period. He and his contemporaries sought to achieve a theatrical reality through the use of language. Consequently, they experimented with iambic pentameter, the English language, and the best theatrical forms for the expression of their ideas. One of his first plays (Titus Andronicus) was almost entirely in verse. Some early plays (The Comedy of Errors, Two Gentlemen of Verona, and The Taming of the Shrew) combine verse and prose. While a few (Henry VI Part Two, Henry VI Part Three, Richard II, and King John) are completely in verse, others (Henry IV Part One, Henry IV Part Two, The Merry Wives of Windsor, Much Ado About Nothing, and As You Like It) examine the potential of prose. In some early comedies (A Midsummer Night’s Dream and Love’s Labor’s Lost) almost half of the play is in rhyming verse. However, a later tragedy (Antony and Cleopatra) contains 90 percent blank verse, i.e. verse that does not rhyme. Blank verse then becomes the predominate means of expression in the later tragedies and romances. In addition to these larger categories, Shakespeare investigates changes to the iambic pentameter line in individual plays. He experiments with long lines, epic caesuras, and short and shared lines, which are explained below. He was able to do this because iambic pentameter closely follows the rhythm of spoken English and, thus, has an extraordinary ability to accommodate a host of variations. The line is almost naturalistic in its simplicity, yet the iambic rhythm is present. Some lines when read appear to have more than ten syllables, but when spoken are actually regular iambic pentameter lines. A reverence for the printed text or a fixed belief in the efficacy of “proper” speech for Shakespearean production often leads actors to attempt to pronounce all the syllables that appear in a given line. Doing so creates havoc with the rhythm of the verse. However, contraction and elision will allow the rhythm to be maintained. Contraction is the formation of a word by omitting or combining sounds of a longer phrase. Elision is the suppression of a weak, internal vowel or an unstressed syllable. We noted earlier that the verse line sometimes demands a pronunciation that is different than that used in contemporary speech. Conversely, the verse also demands contractions that are quite common in everyday life. The use of I’m for I am and you’ll for you will often allows the actor to maintain the rhythm while ensuring that the ehm-FAA-sis does not fall on the wrong si-LAA-buhl. Elisions occur most often with the omission of the “uh” sound, known as the schwa. This elision gives the line greater drive, provides for a stronger point of view, and with the closer antithetical alliteration of n‘s and m‘s allows the audience to hear a clearer version of her outrage and grief. Another type of internal compression occurs when a word has contiguous vowels. Thus words like glorious scan to GLAWR-yuhs and happier scans to HAAP-yer. We have found that while actors sometimes find it strange to alter the printed text, once they achieve a certain specificity of action and level of emotional intensity, this elision becomes a part of their approach to the verse. Some editions, such as the Pelican series, mark these stresses for the reader. Note also that Romeo with its contiguous vowels scans to two syllables, ROHM-yoh. While contiguous vowels sometimes elide, they also can expand. This is most common with words ending in ion. It also occurs with words such as patience, ocean, and marriage. These syllabic expansions are an area of contention. Some feel that the full articulation of the ion ending (probably “ee-uhn” and rendered so in this dictionary) distances the audience from the play. They feel it short-circuits the emotional empathy between actor and audience. They thus deem it should never be used. Others advocate the merest suggestion or hint of the extended sound, while still others prefer that the single syllabic sound be elongated to count for two beats. The pronunciation of these words remains anathema to some and controversial to others. We have begun to hear their occurrence in a number of professional productions. The third edition of the Arden series has taken to stating quite clearly that words like invention are “pronounced with four syllables” in the Prologue to Henry V. Within this Dictionary, we have offered expanded versions of some of these words and noted even more examples in “Afterthoughts” for those who wish to experiment with their usage. A far less controversial form of “stretching” occurs with the addition of a schwa between the existing syllables. With this addition, words like business, entrance, and children, expand to three syllables. There are words in Shakespeare that can be pronounced with either one or two syllables. Some of the most common are being, power, hour, and fire. This syllabic variation will also allow the language to fulfill the demands of the meter. Odd as it may seem to those who still hold to an early 20th century elocutionary approach, the verse demands that certain words contract. This is especially true of words which possess a central v, th, or r. These interior consonants will disappear so that ever becomes e’er (as it is sometimes printed), never becomes ne’er, and even becomes e’en. Either and whither elide to monosyllabic ei’er and toh’er. Some would go so far as to elide seven to se’n, though this may challenge the comprehension of the audience. In this instance, the solution will be to speak the word quickly so as to give it one beat in the verse line, while still maintaining the v sound. Words with a central r that elide include sirrah and warrant. th’other stands for “the other” pronounced as two syllables ‘THUHTH-er’. in both of which the caesura occurs after the fourth beat. Sometimes Shakespeare makes use of a short line which indicates a pause. The syllabic count falls short, but the iambic rhythm remains. The pause should be filled with some sort of non-verbal behavior. It can be either physical activity or silent psychological action. For example, Horatio’s anticipation of the Ghost’s response to him in the first scene of Hamlet. On rare occasions, in plays filled with such articulate characters, the pause may reveal a character at a momentary loss for words. The duration of either the psychological action or the physical activity will, ideally, maintain the iambic rhythm of the verse. Shakespeare occasionally uses both short, shared, and complete pentameter lines in combinations to stunning effect, as in the first scene of Hamlet. (-) Stay! the King hath thrown his warder down. The beginning of the line is missing the unstressed syllable that normally precedes a stressed syllable in an iambic foot. The first word thus receives a heavy stress. The text calls for the briefest of pauses. That may allow an actor to register a sudden emotional shift or abrupt change in the scene. Our attention to rhythm and Shakespeare’s use of metrics in the compilation of this dictionary is intended to help the actor speak a living, breathing, supple language, rather than recite a printed text. As obvious as it seems, it might be good to note that the printed text is not the spoken word. The goal should be to experiment with the verse form. As a result, the person will achieve a spoken language that is heightened yet realistic. Also for the verse to sound thoughtful yet engaging. It is the unseen quality of the verse – its rhythm and the corresponding system of metrics – that gives the words their drive, power, and presence. Readers who are interested in pursuing their study of Shakespeare’s handling of metrics and the use of rhythm in poetic language are encouraged to consult Shakespeare’s Metrical Art by George T. Wright and Poetic Rhythm: An Introduction by Derek Attridge, to whom we are indebted. Pronouncing Shakespeare is made easy with our new app: Audio Shakespeare Pronunciation App. It contains more than 5000 recorded words, ready for the user to play.